I work in a truly virtual law practice. We have three attorneys in two locations, working from wherever we are, everywhere we are. We have no offices, no centralized computer system, no advertising (except for a practice blog, StayViolation.Com), and no staff. We work free from the confines of standardization, centralization, concentration, synchronization and bureaucracy, which has primarily contributed to the dissatisfaction of lawyers with the practice of law. We live, support and fight for diverse lifestyles. We do it by being King of the Internet. That is why I always appreciate finding an article about someone else replicating this model. by creating a firm with no associates, no hourly rates and no office. Instead of ranks of associates to do his bidding -- and to rack up billable hours for his firm -- Kim has no associates at all. His name appears nowhere in the name of the firm, which is called Vantage Counsel. And instead of billing clients by the hour, Vantage usually bills by the job. In fact, some of Vantage's clients are young start-up companies that lack the money to pay much in legal fees at all. 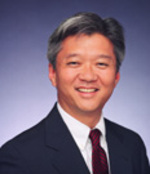 Finally, instead of a corner office, Kim now has no office to call his own; instead, he shares communal space with his firm's four other lawyers -- who often work from home or from free WiFi hotspots at Kahala Mall or the Plaza Club downtown. If all of this seems unusual, if not a bit flaky for a corporate law firm, there's an aspect that's perhaps most surprising: One year into the venture, Kim is making as much money as he did at Goodsill. "We're really not about making money; we want to make money, and we want to make a lot of money," he said. "But we also want to start seeding some things in the community." Still, when asked how his income compared to what he was making at Goodsill, Kim said: "I'm making at least as much if not more. If I wanted to make a lot more, that would be easy." Glad to see another attorney using technology to benefit the legal profession. I have run the first completely virtual law office in North Carolina for the past two years now with great success. The SaaS application that my virtual law office uses was created by Virtual Law Office Technology (vlotech.com) and takes the concept of a virtual law office to a completely different level. My clients appreciate the convenience and so far not meeting face-to-face has not been a problem. I provide the same legal services online as I would in person, perhaps even better because I have the opportunity to pause, think and type and delete before communicating with a client. Each client has his or her own homepage where they are updated regularly on their cases, and they can pay online, among other online functions that increase efficiency and convenience. I think this model would also work well in a larger 15-30 person firm and could be combined with a physical law office to really use the best of both worlds. There will always be clients and attorneys who want to meet face-to-face but there are others who are actually more comfortable handling transactions online (like they are with their online banking and investing). I'm excited to see what this software concept and the virtual law office trend will add to the legal profession. Hello. My name is Dawn Draper and I am a virtual paralegal. I came across your blog while searching for paralegal opportunities. I would like to extend my services to you as a virtual paralegal should you need assistance. You may visit my web site at www.thevirtualparalegal.com for my experience, resume, work samples and services. Thank you and I look forward to hearing from you.